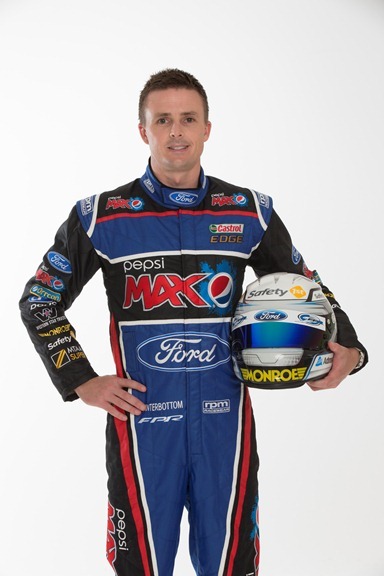 All Things Jabu were extremely lucky this week as we were given the opportunity to interview Monroe Shocks V8 Supercar driver Mark Winterbottom! Firstly Mark, thank you so much for taking time out of your busy schedule to chat to us. ATJ: You’ve raced against Jamie Whincup since Formula Ford days. Did racing in Formula Ford serve you well as a starting block for your racing career? MW: Definitely, Formula Ford teaches you a lot about racecraft as the cars are generally the same. Formula Ford was a big part in getting my car racing career off and running after being very successful in karts. ATJ: Did the rivalry start then between you and Jamie? MW: We have raced each other for more than 20 years now and just like any competitor you race with, you want to beat them, so that’s how it started for us, from karts, to Formula Ford, to V8 Supercars. 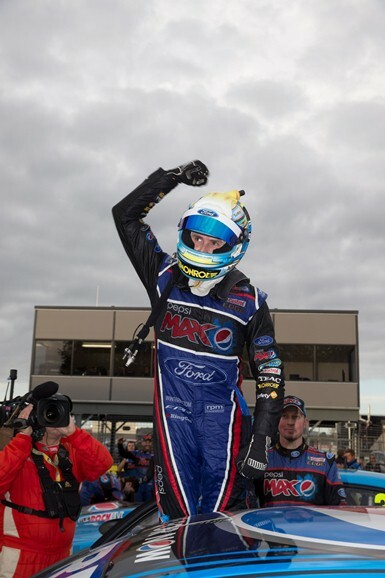 ATJ: How big was the step up to the V8 Supercar series? MW: Massive, you go from an open wheeler with no wings to a 650 horsepower, big and heavy racing car. I did a season in the development series before stepping up to the main series which was good for coming to grips with how to race these cars. ATJ: You’ve been a racing as a Monroe sponsored driver for a while, what has working with a global brand like Monroe Shocks been like? MW: It has been great. We are heading into our 6th year together next year and Monroe’s focus on enhancing road safety links in well with my efforts to promote road safety through many things I am involved in with in the sport and outside of it. ATJ: Just how important is it to have the right set up for a race, particularly at legendary circuits such as Bathurst? MW: Totally important. Having the right set up early in a race weekend, particularly at Bathurst, determines how your whole event will go. We work hard in analysing our data from past years for all circuits to ensure that we arrive with a strong set up. Many factors play into it though, and it is never easy. ATJ: What’s your daily drive, and which car would you choose if the sky were the limit? MW: I drive a Ford Performance Vehicles GT. I also have a Ford Territory for the family. I love both of them. In terms of what to drive if the sky was the limit I would have to pick a Porsche 911. ATJ: Who first gave you your ‘Frosty’ nickname? MW: Having the last name Winterbottom you could easily get a bad nickname, so I was lucky that during school I was called Frosty and it has stuck ever since. ATJ: You grew up in racing, with your father being a racer himself. How big an influence has he been on your racing career? MW: My whole family were involved in motorsport so it is a big influence but at the same time I chose to race karts at a young age and was never pushed into doing it. I was lucky to have great support from my family and now I have my own family doing the same. ATJ: It must have been quite different being involved with Cars 2, what was the experience of working on an animated movie like? MW: Amazing, being a part of something so fantastic and reaching so many children here and overseas was just incredible. So many kids come to me at the races as a result of it and it was a fantastic thing to do. I still have to pinch myself sometimes to remind me that I have been a character in a blockbuster Disney animated film. 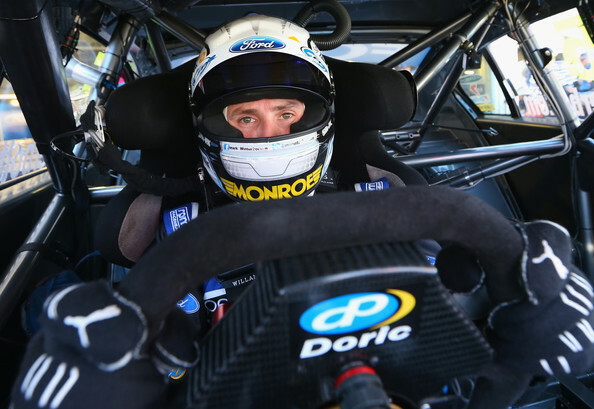 ATJ: How would you like to see a round of V8 Supercar racing take place in South Africa? MW: As a race driver, you always want to race at different circuits all over the world. For me anywhere new and exciting is always a good thing. We have had races in America and the Middle East and earlier this year I raced in Brazil, the more the better! ATJ: What for you has been the highlight of your career, so far? 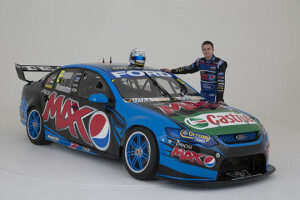 MW: Winning Bathurst last year for sure. Ten hard years of trying and there it was, after a last lap pass for the win. I will treasure that one for the rest of my life. ATJ: Which driver has been the biggest challenge to race against? MW: There are so many challenging drivers out there but I guess the obvious one is Jamie Whincup. We have raced each other since we were 10 years old. I won all the Go Kart titles and he has won all the V8 Supercar titles. How I wish that was reversed!! ATJ: What are your future racing ambitions? 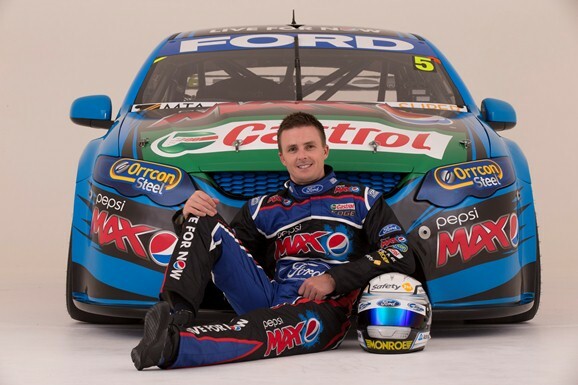 MW: To win the V8 Supercar Championship and not just once – and to compete in more categories around the world to keep racing as long as I can because this is what I love to do. MW: Bathurst by far – it really makes you work hard to qualify well and win. It also bites if you make the slightest mistake. ATJ: You were a good footballer before you focused on racing. If you weren’t a racing driver could you see yourself playing football professionally? MW: I would have liked to, whether I had the ability I don’t know. I was certainly on track for a while and some people I played with went on to become Socceroos, so you never know. But the choice was to pursue Football or go motor racing and I am happy with my choice! ATJ: As All Things Jabu is a Sports Blog, what other sports do you follow and which teams are you a fan of? MW: I love AFL, I am lucky enough to train with the guys at the Essendon Football club. Other then AFL I watch anything and everything. I am currently watching Australia vs South Africa in the ODI series. It’s 1-1 so lets hope the Aussie’s can get up but if they don’t I am happy for you guys over there.